Henry Cecil was one of the most celebrated and succesful horse trainers of all time. Specialising in flat racing he won all there was to win during his career including multiple wins of all of the British classics (including the 1000 Guineas 6 times and the Epsom Oaks 8). He consistently outshone his contemporaries and was awarded Champion Jockey status 10 times over a 17 year period. Cecil’s introduction to racing took place at his Stepfather’s Freemason Lodge stable in 1964. Going his own way in 1969 it wasn’t long before he had his first Group one winner, Wolver Hollow in the Eclipse Stakes. The next year saw him win the Queen Alexandra Stakes at Royal Ascot with Parthenon. Success breeds success, and the early 70s saw his first Classics win with Bolkonski at the 2,000 Guineas. It was a sign of things to come with many more wins in the Classics in the years that followed. It wasn’t all plane sailing for Henry Cecil though. There followed a spate of deaths and relationship breakdowns in his working life, impacting his career in a big way. A fall out with Sheikh Mohammed had an especially significant effect with many horses suddenly removed from Cecil’s stable. Like all winners in life though he would later bounce back. All it took was for an Oaks win in 2007 and the momentum was with him once more. 2011 saw him saddle 55 winners and rake in close to £3 million in prize money. The success of that and the following year was in no small part due to Frankel, a horse that would go on to have a flawless career featuring nine group one wins in a row including the Queen Elizabeth II Stakes and Champion Stakes. Henry Cecil died in 2013 but more than set the bar for others over a decades long career. It was evident how at home he felt in racing, and his gentlemanly yet competitive way will not fade quickly from the minds of his peers or of horse racing fans in general. 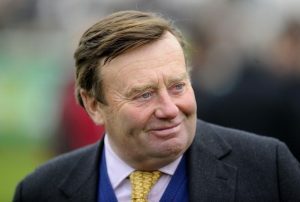 Nicky Henderson is a successful British horse trainer best known for his winning habit at the Cheltenham Festival where he’s amassed some 58 wins over the years – and 3000 winners in total. He’s also been crowned British Jump Racing Champion Trainer five times. Henderson came from a racing family, and his Father was a founder of Racecourse Holdings Trust. Upon his death one of the Cheltenham Festival races was renamed the Johnny Henderson Grand Annual Chase. Nicky Henderson went on to win this very race, which was a fitting tribute to his Father. Many put his love and affinity for the Cheltenham Festival down to this connection to the event. His successes at the Cheltenham Festival are numerous. There’s Remittance Man, the 1992 winner of the Queen Mother Champion Chase, Champion Hurdle wins with Binocular in 2010 and See You There in 1985, 1986 and 1987, and Cheltenham Gold Cup wins with Long Run in 2011 and Bobs Worth in 2013. Henderson has himself rode as a jockey in his younger years, riding 75 winners in the process. His training career started as assistant to Fred Winter, before going it alone after 4 years. Although he’s known for his Cheltenham successes, Nicky Henderson lacks a Grand National win and has had numerous attempts at rectifying this since his first entry, Zongalero, in 1979. Despite the omission he did experience plenty of success at the wider 2018 Grand National meeting. Henderson’s Might Bite won the Betway Bowl on the opening day of the meeting, while We Have A Dream and L’Ami Serge also won. It’s clear that 40 year in, Henderson has lost none of his love for the sport. 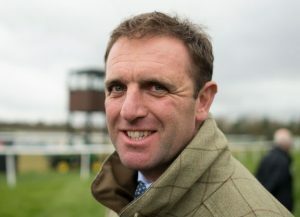 Charlie Appleby, 43, is a fairly recent addition to the training ranks, having been chosen by Sheikh Mohammed to take over the training licence at Moulton Paddocks, Newmarket from the disgraced Mahmood Al Zarooni, who was ‘warned off’ for eight years after several of his horses tested positive for anabolic steroids in 2013. However, Appleby had previously worked for Godolphin for 15 years in various capacities, including as assistant trainer to Al Zarooni, Saeed bin Suroor and David Loder, so was hardly wet behind the ears when it came to preparing race horses to compete. Appleby is based at Moulton Paddocks during the British Flat season and at Marmoom Stables, in the desert south of Dubai, during the British winter. Having embarked upon a training career, in his own right, in July, 2013, he saddled his first Grade 1 winner in November that same year, when Outstrip lead close home to win the Breeders’ Cup Juvenile Turf at Santa Anita Park in California. He saddled his first domestic Group 1 winner, Charming Thought, in the Middle Park Stakes at Newmarket, less than a year later and the following summer opened his account at Royal Ascot, when Space Age made most of the running to beat 16 rivals in the King George V Stakes. Appleby recorded another high-profile success with Hawkbill in the Coral-Eclipse Stakes at Sandown in 2016 and, in 2018, raised the bar again with three more winners at the highest level. The most notable of them, of course, was Masar, who reversed 2,000 Guineas form with Saxon Warrior to win the Derby at Epsom. In so doing, the son of New Approach provided Appleby with his first Classic winner and Godolphin with its first Derby winner. Further victories for Blue Point in the King’s Stand Stakes at Royal Ascot and Wild Illusion in the Nassau Stakes at Glorious Goodwood contributed to his most successful season so far, financially, with £3.69 million in prize money at the time of writing. With over 500 winners to his name in his short career, Appleby looks bound for plenty more success in the future. Dan Skelton is, of course, the eldest son of Olympic show jumper Nick Skelton but, since embarking on a training career in 2013, has quickly established himself as a leading exponent of the art, or science, of preparing National Hunt horses. Testament to his progress through the training ranks in a short space of time is that, at the time of writing, he has just broken the record, previously held by Martin Pipe, for the fastest hundred winners in a National Hunt season. His hundredth winner of 2018/19 was Sam Red, ridden by William Marshall, in an amateur riders’ handicap chase at Cheltenham on October 26, over a week ahead of the previous best set by the 15-time Champion Trainer on November 3, 2001. Indeed, at the time of writing, Skelton has saddled 104 winners, more than double the number sent out by his nearest pursuer, Peter Bowen, and his total prize money, which is approaching £850,000, gives him a lead of nearly £400,000 in the National Hunt Trainers’ Championship. 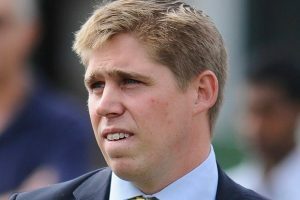 Dan Skelton spent nine years as assistant trainer to Paul Nicholls at Manor Farm Stables in Ditcheat, Somerset before starting out on his own at Lodge Hill Stables, a training centre purpose-built by his father, Nick, at Alcester in the heart of rural Warwickshire. Skelton Jnr. began his training career with just a dozen horses, but saddled 27 winners in his first season – notably including Willow’s Saviour in The Ladbroke at Ascot – and hasn’t really looked back. In 2015/16, he saddled over a hundred winners in a season, and earned over £1 million in total prize money, for the first time and in 2017/18 enjoyed his most successful season so far, with 156 winners and £1.74 million in total prize money. As far as the Cheltenham Festival is concerned, Skelton has the distinction of winning the County Handicap Hurdle – arguably the most competitive race in the National Hunt calendar – twice, with Superb Story in 2016 and Mohaayed in 2018. All that’s missing from his impressive CV is a Grade 1 winner but, granted his meteoric rise to the top of his profession, that surely is just a matter of time. 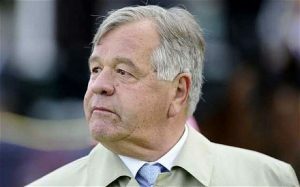 Were it not for the late Julian Wilson, Barbadian Sir Michael Stoute – he was awarded a knighthood for services to tourism and sport in his native country in 1998 – may well have become BBC television racing correspondent rather than multiple champion trainer. In November, 1965, the 19-year-old Stoute made a shortlist of six candidates who travelled to Newbury racecourse for final screen tests, but the powers that be preferred the patricianly, slightly raffish, style of Wilson, leaving the young man to find fame elsewhere in the racing world. Stoute subsequently served as assistant trainer to Hubert Patrick ‘Pat’ Rohan in Malton, Yorkshire for three years. In 1968, he moved to Newmarket and, having abandoned his original intention of returning to the Caribbean, also served as assistant trainer to Douglas Smith and Harry Thomson ‘Tom’ Jones before renting a yard and setting up on his own, with just 15 horses, in 1972. He saddled his first winner, Sandal, owned by his father, at Newmarket in April that year and so embarked upon a brilliant career that has, so far, spanned five decades. Stoute, now 73, can rightly be considered one of the all-time greats of British Flat racing. He has been Champion Trainer ten times and won a total of 14 British Classic races, including the 2,000 Guineas five times, the 1,000 Guineas twice, the Derby five times, the Oaks twice and the St. Leger once. In June, 2018, Stoute also became the all-time leading trainer at Royal Ascot; the victory of Poet’s Word over hot favourite Cracksman in the Prince of Wales’s Stakes took his career total to 76, beating the previous record of 75 set by the late Sir Henry Cecil. Stoute has also recorded numerous high-profile victories around the world, including the Breeders’ Cup Turf five times, the Japan Cup twice, the Dubai World Cup and the Prix de l’Arc de Triomphe. Nowadays based at Freemason Stables and Beech Hurst Stables, on either side of the Bury Road in Newmarket, Stoute will always be remembered as the trainer of Shergar. Stoute describes Shergar – a runaway, 10-length winner of the Derby in 1981, but subsequently kidnapped, probably by the IRA, and never found – as “the most talented middle-distance horse I have ever trained.” However, his most satisfying training performance, he says, was saddling Pilsudski and Singspiel to finish first and second in the Breeders’ Cup Turf at Woodbine Racetrack in 1996.